Bacalao is fish, traditionally codfish, that is cured by dry-salting it. In Portugal, it is used to make savory seafood stews. In Spain and France, it's used to make the creamy spread called brandada or brandade. 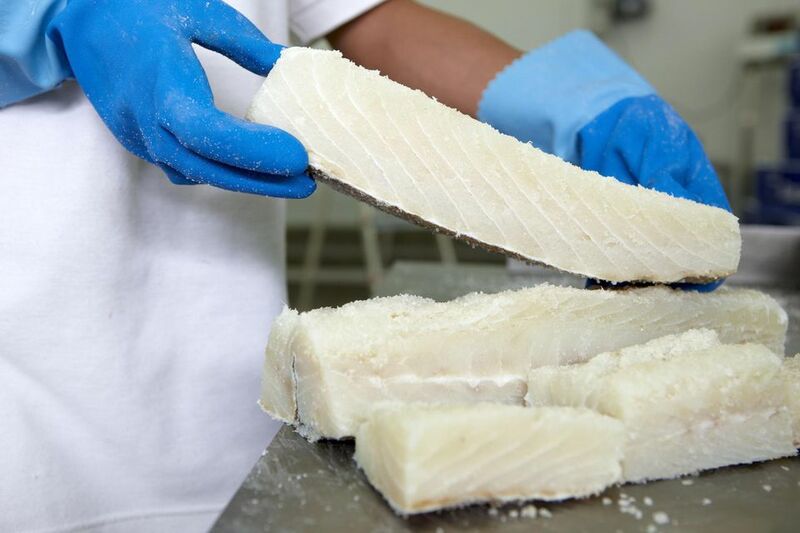 Although it's usually made with cod, bacalao can also be made with other mild, flaky white fish that are not too oily. Both haddock and flounder work just as well as cod. Since cod has been overfished and is endangered in some parts of the world, you may want to go with one of these alternative fish. The process of salting cod (or the fish of your choice) could not be simpler. It does take some time, so plan on at least a week, if not two, to ensure the fish are fully cured and dried. In the end, you will have perfectly preserved fish to use in the future. Prepare the fish by rinsing the fillets under cool water. Pat them dry with a clean dishtowel or paper towels. Spread a 1/2-inch thick layer of medium grain sea salt or kosher salt on the bottom of a glass or stainless steel container. It's recommended to avoid curing fish in plastic containers because some plastics contain bisphenol A (BPA), which can be risky for your health. Lay the fish fillets in a single layer on top of the salt so that none of the pieces are touching. Spread another 1/2-inch layer of salt on top of the pieces of fish. If you have more fish to salt cure, place it on top of the second layer of salt, and then completely bury it in a third layer of salt. Continue like this in alternating layers of salt and fish until all the fish is used. Finish with a layer of salt. It is important that the fish is completely buried in salt. Cover the fish and salt and store it in a very cold, but not freezing, place (your refrigerator is a good choice) for 48 hours. After salting it for two days, rinse the cured fish fillets under cold water. Pat them very dry with a clean dishtowel or paper towels. Wrap the salt-cured, rinsed, and dried fish in cheesecloth. Place it on a rack set over a plate or baking dish, and return it to the refrigerator, uncovered. Let it dry out in the refrigerator for 1 to 2 weeks. When it is dry and stiff, transfer the bacalao to containers and cover tightly, or wrap it in foil or butcher's paper. Store it in the refrigerator for up to 3 months or in the freezer for up to a year. Bacalao needs to be soaked in water for 24 hours before you cook with it. During that time, change the water at least twice. This rehydrates the fish and removes some of the salt, so it's ready for cooking.